The City of Hamilton is giving away compost and woodchips for your lawn, garden and plants. Bring your own pails, shovel, and elbow grease. Residents are being encouraged to bring a monetary donation in support of Hamilton Food Share! If you would like to volunteer on behalf of Hamilton Food Share at one of the dates/locations below, please contact Leah at leah@hamiltonfoodshare.org to get involved. For vegetable gardens and flower beds, apply 2 cm (3/4″ in) of compost and work into the soil. For new beds add 2 – 5 cm (3/4″ to 2″ in) of compost and work into the soil to 12 cm (4 3/4″ in) in depth, plant and water accordingly. 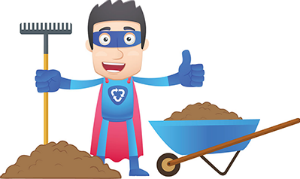 For topdressing apply 1 to 2 cm (1/2″ to 3/4″ in) of compost to the lawn and lightly rake the compost into the grass. You will need your own buckets, shovel, and elbow grease. The compost is for residential use only and is available while quantities last.